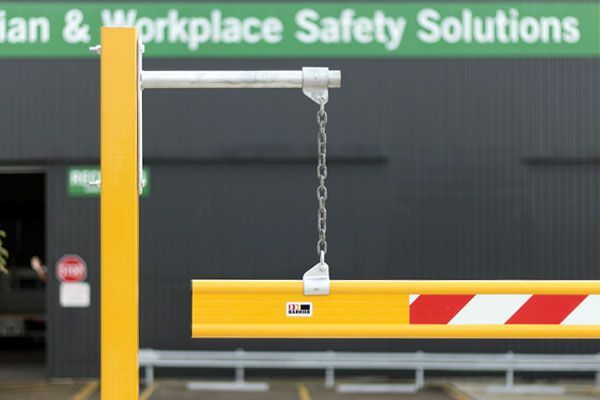 Our Group 1 height bars are available in a range of standard lengths from 2 metres all the way up to 6 metres. 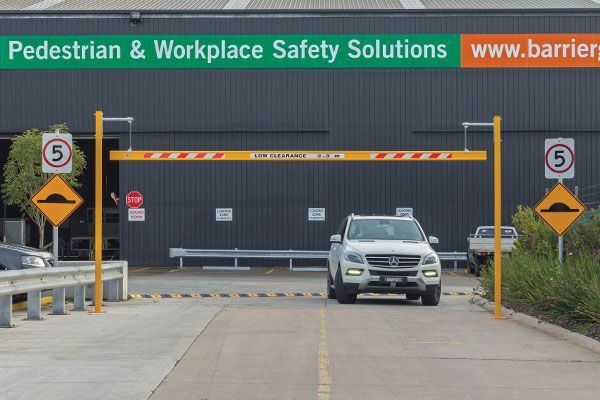 Each height bar is supplied with the necessary chain suspension kits and “LOW CLEARANCE” text, with your specified height in Black lettering on a White vinyl background. 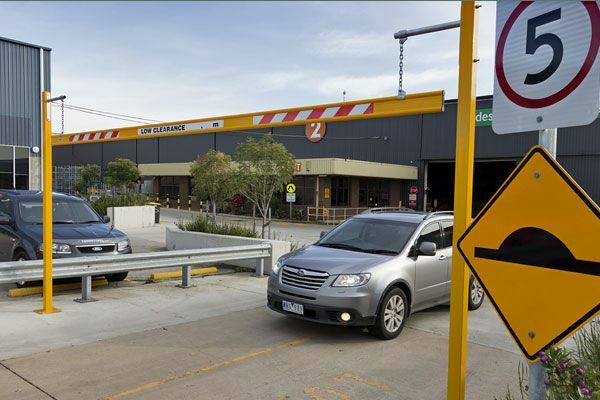 Use height bars at locations where vehicles first enter an undercover area or encounter an overhead obstruction, where the clearance in either case is: (i) 3 metres or less if only cars or light vans are likely to use the facility or (ii) 4.6 metres or less in all other areas. 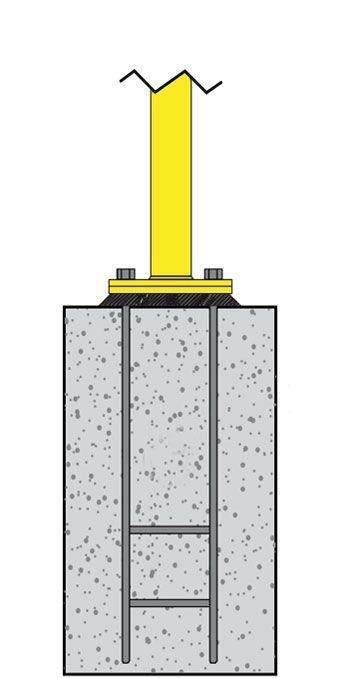 Use 4x M16 chemical anchors with minimum embedment 150mm into reinforced concrete. 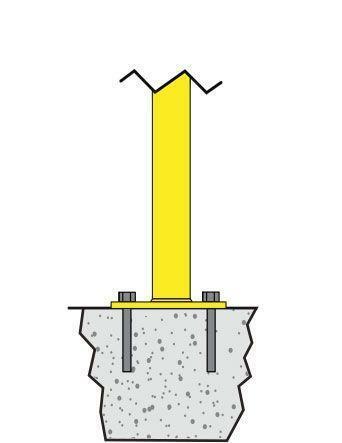 Natural undisturbed soil, minimum 100kPa bearing capacity. Embed RC250 reo cage into 30mpa concrete 450 diameter by 1100mm deep. Embed RC250 reo cage into 30mpa concrete 600 diameter by 2000mm deep with 4 full depth R16 bars. 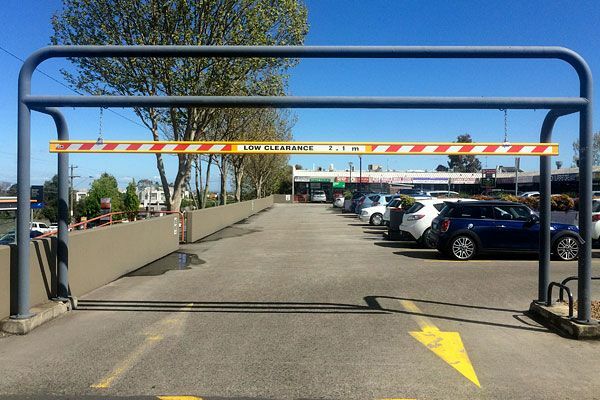 Maximum height clearance 2.7 metres. Max. 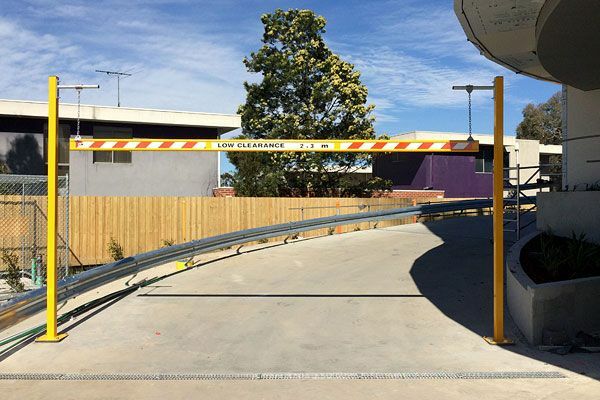 post span 6.5 metres. Max. 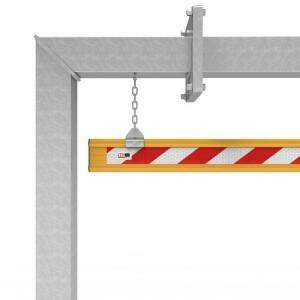 height bar length 6 metres. Single piece extruded aluminium height bar. Hanger kit included 1x KIT22. Engineered to wind Region A, Terrain Category 2. Site specific certification available. Fees apply. Material: Height bar – 145 x 40 extruded aluminium. Finish: Yellow powder coat. Galvanised steel chain. Length: 2, 3, 4, 5 or 6 metres. Weight: 2 metre with hangers – 6.4kgs. 3 metre with hangers – 9kgs. 4 metre with hangers – 11.5kgs. 5 metre with hangers – 14.2kgs. 6 metre with hangers – 16.7kgs.